Toy Haulers really do offer adventurous campers the best of all worlds. 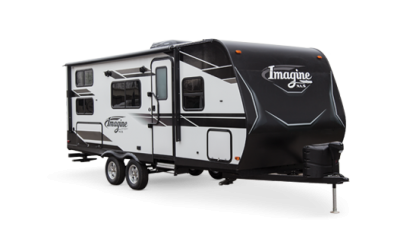 With Puma Unleashed Toy Haulers, you are ready travel anywhere and stay in comfort – and, you have the added excitement of being able to bring your big toys along for the adventure. 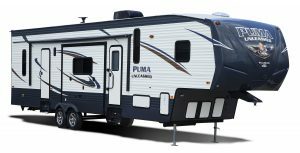 Whether you are headed for a weekend of rugged 4-wheeling in the countryside or motorcycling on mountainous terrain, a Puma Unleashed Toy Hauler makes your exploring a comfortable and exciting outdoor excursion your entire family will long remember. 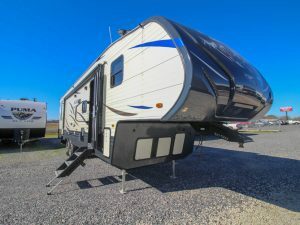 There’s a Puma Unleashed Toy Hauler that perfectly matches your family’s ideal when it comes to how you want to spend your recreational and travel hours together. 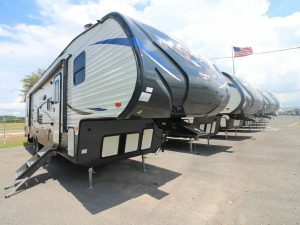 Palomino, a part of the Forest River RV Group, manufactures these Toy Haulers in both Fifth Wheel and Travel Trailer configurations and they currently offer ten different floorplans in all. Load up the family and the toys! Puma Unleashed Toy Haulers. Puma means overall lighter weights and ease-of-towing. It’s never a hassle to pull your Puma to the wilderness and enjoy some peace and quiet of the great outdoors. 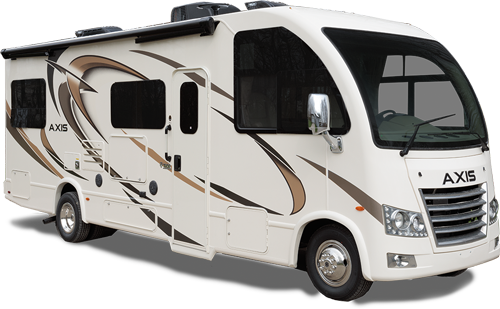 And, it’s a coach built for comfort and durability. Overhead, you will be safe from the elements for years and years with 3/8 inch roof decking and a sealed rubber roof that carries a 12-year warranty. In the garage there’s heavy-duty D-ring tie-downs, anchored into an 8” x 14” steel plate welded to the frame for secure travel. There’s rugged Dovetail ramps providing easy cargo access and diamond plate for safe, easy access and long-term durability; plus, 5/8” floor decking with a 25 year limited warranty. Sure it’s rugged – but stylish too! Interiors are available with Standard Gloria Maple Glazed Cabinets or Optional Glazed Franklin Cherry. All designs have long-life LED lighting inside for safety and comfort. And, outside, there’s no mistaking the colorful and adventurous Puma graphics. 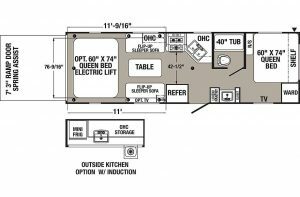 You will want to ask about the optional Side Paw outside kitchen – available on select Toy Hauler models. Experience the ultimate in convenience on your off-road adventure. Take your gear, toys and friends and head out for the time of your life, complete with everything you need to play hard all day, and rest easy all night! 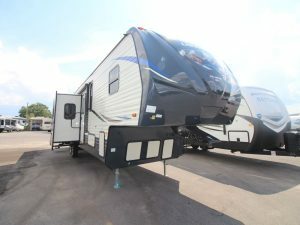 Let the RV experts at Primeaux RV Superstore help you find the Puma Toy Hauler that’s perfect for you.